TWS Connect lets keep track of your workforce in real-time. Now, keep track of the work your equipment performs, in real time, with your existing TimeWellScheduled Account with TWS Projects. 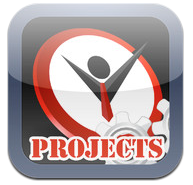 TWS Projects allows you to assign tasks to your equipment assets, and keep track of when they’re in operation, for how long, and for which project or task it is performing, all in real time. Includes Geolocation, so that you can also know where your equipment is being used.